I think quite a few people will already be familiar with Yoshimura aka Ruru/Rurukyan from the iM@S CG franchise. 2014 is looking like a breakthrough year for her as she’s been moving quickly up the cast credits lists with roles in Saki Zenkoku-hen (Yuko) and Akuma no Riddle (Kouko). 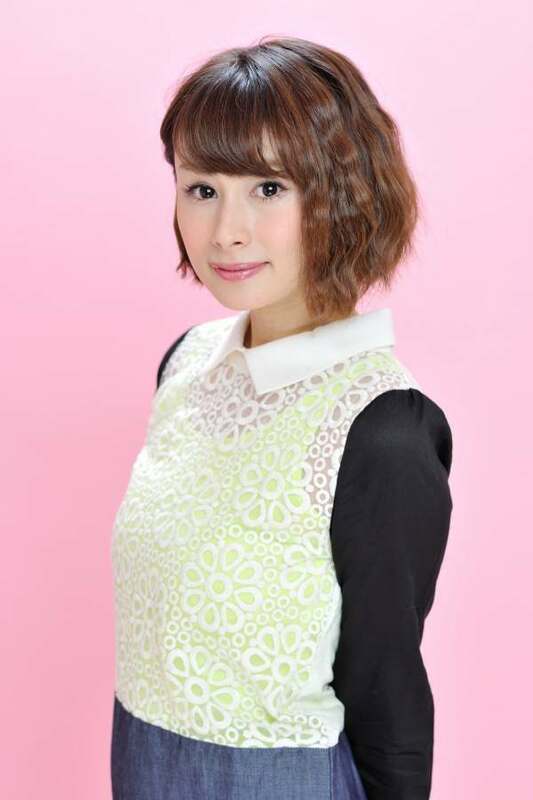 For this season, Yoshimura has major roles in Sora no Method (Koharu) and SHIROBAKO (Ema), the latter for which she also co-hosts a radio show. This article is part of Seigura Web’s Seiyuu Mirai Yosouzu (未来予想図, Map of the Future) series. I first learned that it was possible to make a career in anime and dramas when I was in the third grade but personally, I never thought of being on stage myself. Even so, I began to grow fond of manga that utilized the ‘stage’ as its setting…! By the way, when I was in elementary school I’d save up my pocket money and otoshidama* so I could buy shonen and shojo magazines, spending up to 7,000yen a month (lol). Junior high – Drama club aspirations as well!? This was the period when I started having a strong urge to try out acting. I had planned to join the drama club once I entered junior high, but it was abolished the year before I got there… Even during cultural festivals when I’d suggest putting on plays, I was drowned out by the people favouring dance performances, so I ended up never performing on stage, not even once. What actually made me get into acting was an article I saw in Seiyuu Grand Prix about the Japan Narration Acting Institute (Nichinare). I’d had this notion that to become a seiyuu, you’d have to have an ‘anime voice’ but the article mentioned that ‘You can be a seiyuu even if you don’t have an anime voice’, and I thought that I’d like to give it a try. Inspired by the article, I took part in a free trial session at Nichinare. However, at that point I was still unable to cast aside my fears and was convinced ‘I’d never be able to stand in front of a crowd (and perform)’ (lol). On the other hand, I got to see that acting really was fun, and as I watched how in the same situation, different people could perform in different ways, it provided greater motivation for me. Osaka is my hometown, so it was my intention to spend a year at Nichinare’s Osaka branch before deciding on whether to move to Tokyo, but my mother admonished me. ‘Life isn’t about waiting-and-seeing! If that’s the future you’re headed for, then you should have the guts to go for it now!’. And I ended up moving to Tokyo almost immediately. In training school, it felt it wasn’t just my acting that progressed but my personality too, went through some changes. I was taught that ‘acting isn’t something you can do by yourself’ so naturally, I have come to realize the importance of being aware of my surroundings. Furthermore, there was a time in training school where I was given the job of hosting a programme. Going through that reminded me of how difficult it is to draw stories out from a person, but the experience I gained is proving useful for my radio work now. I was really happy when my attachment to the agency was confirmed! In order to show how motivated I was, I’d hop over to the agency immediately whenever my scripts were ready; I did my best, tirelessly (lol). At the iDOLM@STER Cinderella Girls audition, one of the judges, who’d obviously sat through thousands of auditioners, mentioned to me that I was ‘the most nervous person (he’d) ever met’ (lol). One of the challenges was how I was supposed to show my own colours through a singing audition, and from the booth I heard this reaction – “She’s just nervous, isn’t she? Let’s do it one more time”….My manager had to bow and apologise, saying “I’m sorry about our Yoshimura…” which made me panic, wondering what I should do. I think of those experiences as being part of a growth process that has led to my being chosen for the role of Jogasaki Mika. At first I was worried that I might end up like the characters in the manga I used to read who would get things thrown at them on stage, but I think that I’ve finally managed to grasp what singing is all about. Nowadays I try to emphasize on “firing the crowd up” as supposed to focusing on singing technically well. Ah, but of course, I’m trying to get better at singing (lol). 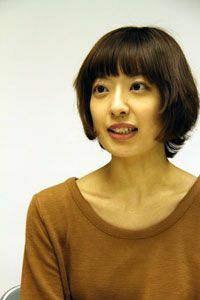 2013 – Saki Zenkoku-hen, Mase Yuko! One day, as I stopped by the agency early to pick up my scripts as usual, my manager said to me “You’re always here at this time of the week but today, would you like to try out for an audition?”, and per his recommendation I tried out for the role of Mase Yuko in Saki Zenkoku-hen. I totally did not expect to pass the audition, it was as if God had recognized the efforts I had been putting in, and it made me really happy. When I appear as a guest on programmes I always feel apologetic when people go ‘Yoshimura Haruka, who’s that?’, so I hope (2015) will be a year where I get put in good performances in as many places as possible. I wish to become an actress who can hold her own, with confidence and pride. In 3-5 years’ time, I hope to play the main lead. I don’t have any preferences for the type of role but I’d love to appear in a hot-blooded type of anime! 2020 – Act in a kids’ anime! My dream is to appear in a magical girl anime that airs on Sunday mornings. It’s the type of show I watched when I was a child and still do as an adult, so it’d be wonderful if I could fulfill this dream.. I would be glad to be able to give people dreams. It’s an age that’s in between the youngsters and veterans, so I’d like to be someone who could bridge the communication gap during recording. I hope that by then, I’d be versatile enough so that people would say of me “Be it radio or acting, we can leave it all up to Yoshimura”. On the other hand, I think I’d struggle at giving direct guidance to my juniors. It’s probably beyond me (lol). I want to buy an apartment for my parents to manage (lol). It’ll be okay if I didn’t end up making it big as an actor; as long as I’m able to continue working steadily I’d be happy. Q1. Describe your personality in one phrase. A: “Seriously unserious” maybe? (lol) In my heart, I am always serious but it seems that things always fall apart by the end for me…I had my fortune told a while ago and it was spot on, saying the same thing. A: Ruru, or Ruru-kyan. By the way, my dad calls me Haru-ban, which is short for Haruka-bancho* (lol). I was the kind of naughty kid who’d go around climbing walls and even now that I’ve grown up, the way I treat my dad hasn’t changed at all, and that’s reinforced that kind of image. Q3. What’s your favourite food? A: I love plum-flavoured candies and always bring them with me when I go out. Though I always seem to lose them by the time evening comes round! On the other hand, I’m not a fan of vegetables. There are certain types of vegetables which you’ll never get me to eat even if you paid me a million yen. Offer me 200 million yen and I might just think about it though (lol). Q4. What place would you most like to visit right now? A: The Maldives. I’ve seen its beautiful starry sky in the planetarium before, and I’d love to see the real thing at least once in my lifetime! By the way, one of the places I go to most often is my friend’s house (lol). From a while ago, there are many times when I randomly end up staying over at friends’ places. Q5: Anything you’ve been addicted to recently? A: I normally wear glasses. What I’m obsessed with though, are the ultrasonic cleaners you get in opticians. I used to be too embarrassed to use it but its ability to clean (things) is really amazing; and the more you do it, the more fun it gets (lol). Q6: What’s your favourite manga? A: Lunatic Zatsugidan by Okada Amin is my bible. Though my tastes in manga may change over time, to me this particular work will always be a fun read no matter then circumstances. I’ve read it so many times (and even dropped candy on it) that the pages have become all sticky. It’s a manga that has great soul, and I’ve even gifted it to friends for their birthdays. Q7: Are there any sports you’re good at? A: Is that referring to sports that require guts instead of skill? When I was in elementary school I did set a record of 210 pull-ups on the horizontal bar (lol). It’s only the marathon that I’m hopeless at….There was this one marathon where I was trying to cut corners and in obviously bad shape, and I ended up placing second from last (lol). Q8: Is there anyone you greatly admire? Q10: What is your motto? It’s a line from a scene in the drama 3-nen B-gumi Kinpachi-sensei where (Kinpachi) admonishes a girl who dreams of becoming a tarento. A person who can’t even take good care of him/herself will never be able to attain the things they want in life so before my auditions, I will go pick up all the rubbish lying around my house. ‘Always, thank you’ sums it up best. It’s really rare to find a job where one can be cheered on, and I have come to realize just how much I thrive on that support. I ask for your support too, in the days to come. To people who are aiming to become seiyuu, though there will be tough and painful times, please find the strength to overcome them. Enjoy the fruits of your labour! What I most want to say is…that I had to take a real deep breath when I saw pics of meganekko Rurukyan. This entry was posted in Mirai Yosouzu, Yoshimura Haruka on October 25, 2014 by admin. I wrote a bit about her on my other blog recently, but here’s a recap – Mitsuki is a musician first and foremost, particularly on the doujin circuit with her circle ABSOLUTE CASTAWAY but also as part of the unit Shoujo Byou. She however, signed with Mausu Promotion in 2013 (where she is in the same trainee group as Kakuma Ai) to pursue her voice acting ambitions and is currently juggling both endeavours. This season, Mitsuki is singing the opening theme for the Daitoshokan no Hitsujikai anime. Mitsuki is a fantastic singer/songwriter but an unknown quantity as a seiyuu. I profess to having no idea about her acting talents but being a fan of her music means I will be watching out for her career in earnest. This is a translation of Da Vinci’s feature and interview with her from June 2014. Q: Up until now, you’ve mainly focused on music activities. A: I have been providing vocals and writing lyrics for Shoujo Byou using the name Mitsuki, while for my solo project ABSOLUTE CASTAWAY, I write lyrics, sing, release CDs and perform songs for games and OVAs using the name Nakae Mitsuki. Q: Recently, you have been active as a seiyuu too. A: In 2009, I was able to make my major début as part of Shoujo Byou, but originally I had aimed to be a seiyuu. As I wanted to chase that dream of becoming a seiyuu, I left my agency in April last year. Q: Since then, you have appeared in two games. What sort of role is Reineria from Tsurugi no Machi no Ihoujin (Xbox 360)? A: Rein is a female elf. She’s got tanned skin and looks like a strong female warrior but as the head of the family, she speaks in a very polite manner. Still, when she “loses it”, she turns incredibly violent. I worked hard at calibrating my on-off switch so I could (easily) move between those dual personalities! Q: How about Mula from Tokyo Shinseiroku Operation Abyss (PS Vita), what sort of character is that? A: Mula’s a stuffed doll-like mascot character that can talk. I’d say it has more of a boyish character. Kind of like a rabbit with a bit of a ‘filthy’ mouth (lol). Q: What other works have you appeared in? A: I voice 3 characters in the trading card application Heroes’ Placement. They’re local mascots representing the prefectures as well as cities, towns, wards and villages. There’s Fukaya Negi-chan from Fukaya City in Saitama Prefecture who gets mad in a tsundere way if you call her ‘Negi’ (lol); her special technique ‘Magical Allicin’ has the ability to add splendid colours to table pots. Then there’s Lilie Weissberger-chan from Hakusan City in Ishikawa Prefecture who is well-versed in songs of curses and is a fairly serious fairy of the black lilies. Shinamatsu Emi-chan from Eniwa City in Hokkaido is the type of girl who’d call the shots in the army squadrons, yelling ‘Onwards!’ or ‘Fire!”. All three characters were fun to voice. Personally, I love the Japanese style so I’d like to play a character from Kyoto! Apart from that, I provided the narration for children’s anime LAMI – I have voiced 9 roles in total. Q: Your ‘fields’ are widening! By the way, did you originally like anime? A: I used to love fantasy back in the days. But recently I’ve been into modern fantasy shows that have a school setting but where characters possess exceptional talents. Q: Are those tastes that you’ve just mentioned reflected in your music activities? A: They are. When I was into fantasy, I’d insert parts in the chorus with a language I made up myself, but slowly, the direction of my preferred lyrical style changed and I’ve been favouring a more direct lyrical approach as of late. Q: From what and where do you draw inspiration for your lyrics? A: I write lyrics while listening to instrumental music, or my favourite songs. There are many times where as I listen, I think to myself ‘how great this (song’s) world view* is’…and I begin to expand on those ideas, as if I’m playing a word association game. For me, it takes quite a while before I can start penning lyrics but once I do start, it takes around 2 hours to complete. As I build the world view* and expand on the themes within myself, there will come a point where I think ‘Alright, it’s time to go!’ and I’ll start writing like crazy. *’世界観’. I doubt I’ll ever find the perfect way to translate this phrase..
Q: Shoujo Byou and ABSOLUTE CASTAWAY both have their own world views, don’t they? A: That’s true. The world view of most of ABSOLUTE CASTAWAY’s material is based on Japanese fantasy, so the costumes have a ‘Eastern Goth’ feel to them as well. For Shoujo Byou there is usually a story in place and I convey that story and its world view through the music; and in them, a different me, named “Mitsuki”, exists. There are also many fans though, who combine these 2 different activities and listen to them as the music of “Nakae Mitsuki”. Q: It seems that there will be new developments this year for Shoujo Byou? Q: You must be really busy. Is there anything you do to refresh yourself when you have days off? A: I like peaches. So I’ll go around buying peach-related foods and eat them up (lol). There are quite a lot of types of limited edition peach-flavoured confectionery. Also, I also write Tareko. Q: That’s the mascot character that appears on your blog, right? A: Yes. It’s a mascot that I designed, and its presence is soothing for me. Basically (Tareko) just chills around, eats and sleeps, eats and sleeps…what an ideal life (lol). I’ve been making (Tareko) goods such as stuffed toys and t-shirts for lives and making up my own voices for it. Q: Where can we find Tareko? A: Tareko appears in my solo project CDs and sometimes pops up on my radio shows. ‘Tare’s here~♪’ is how it’ll go (lol). Tareko’s a bit impudent and will say things like ‘Bring me peaches!’ (lol). Tareko’s catchphrase is Tareko + Mattari (chill out): “Mattare~”. A: Maybe it’s because ABSOLUTE CASTAWAY has unexpectedly been as stoic in its activities as the world view it adopts, that my fans have referred to me as ‘Empress’. I think Tareko’s existence would serve as the counterpoint to the Empress (lol). Thus, I’ll (wake up and) think “Which one of my 2 modes should I use today – the ‘Empress Mode’ or the ‘Tareko Mode’? Still, my true form is probably that of Tareko’s (lol). Q: Maybe someday, chara songs too? A: Yeah, I wanna sing (Tareko’s) chara song! It’d be the song of the character that I play, so I’d definitely long to do that. I could find a new “me” separate from Mitsuki and Nakae Mitsuki; it’s a challenge I’d love to take on. Q: Last but not least, please leave a message for the readers. A: Once again, my name is Nakae Mitsuki! It has been a pleasure to participate in this interview that has allowed myself to reflect on everything (that’s happened up) until now and to think about how I want to move forward in the future. Putting (thoughts) into words has also enabled me to reaffirm certain things. There are still so many things that I would like to do so I’ll be doing my best working towards my goals! I would be ever so grateful for your support. I honestly have no idea if Mitsuki will make it as a seiyuu. Obviously I’m biased so I adore her voice to bits, and her acting is solid for me (samples on her profile). Only time will tell whether she’ll catch any acting breaks, but for now I am just enjoying the fact that she’s still operating freely in her musical capacity – just last month, she was a guest at a Shenzhen video games expo event and she is 100% involved in her doujin music projects. You can catch up with Mitsuki on her blog and Twitter or check out some of her music. Alternatively if you ever head to Japan, just hit her up at the ABSOLUTE CASTAWAY booths during Comiket and M3. This entry was posted in Da Vinci Rookie, Nakae Mitsuki on October 22, 2014 by admin. Maeda is still considered a newcomer to the seiyuu world despite having been doing voice work dating back to 2008. 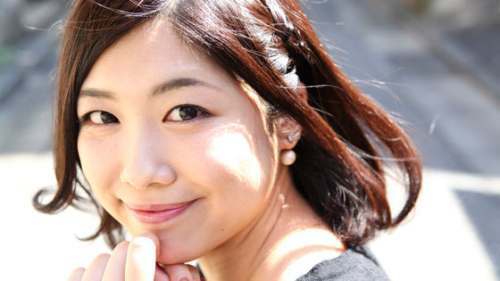 Formerly a model, Maeda is a graduate of Fukuoka School of Music having studied Voice Acting and Voice, and she also plays the piano. She is currently signed to Fujiwara Keiji’s AIR AGENCY. Rena’s first major role was as Machi in the Hunter X Hunter remake, and her first lead was as Nike-hime in Soredemo Sekai wa Utsukushii. The latter was what really made people take notice of her, and she has followed it up with supporting roles in Jinsei and the currently-airing Kiseijuu. Continuing my series of translations of Da Vinci News’s newcomer seiyuu interviews, this is the latest one featuring Maeda. Q: When did you first become aware of the voice acting profession? A: Maybe around the summer of my 2nd year of high school? Just around the time that I had to make a decision on my future career. Up until then I had wanted to be a designer due to the influence of my parents who work in the fashion industry. But then, something happened! I remember it well – halfway down the school stairs, a girl called out to me and said ‘Maeda-san, would you like to go karaoke with me?’. I recognized her face and had spoken to her several times before but we had never had a single class together, so it took me by surprise. We went off to karaoke together, and she just sang like crazy (lol). She sang denpa songs, moe-type character songs. Plus, she was really good. I’m a little shy so I ended up not singing at all (lol). When I got home, I did a bit of searching and found out that she was singing anime songs. Because of that, I ended up watching anime and found it really entertaining, and from then on I became aware of ‘seiyuu’. Q: Up until then, what experiences of manga or anime had you had? A: When I was young I watched Sailor Moon! Also, I really liked Cardcaptor Sakura and I kept up with the show. Daidouji Tomoyo-chan’s ‘It’s definitely gonna be alright’ line was my favourite! Even now, when I feel nervous, I’ll recall the phrase to get myself going (lol). Q: Did you like video games when you were young? A: Yes! But, I was kinda hopeless at RPGs. I’d just lose my way on the map halfway through (lol). But, I’m like that in real life too… (lol). That’s why I abandoned things like Final Fantasy and Dragon Quest and got addicted to Mario instead. I cleared everything including the secret stages. Also, I played co-op Sengoku Musou with my dad and we’d totally slay the enemies.. ah, and also, I played galges and tried to win a lot of girls’ hearts (lol). Q: Dokaben, Galge…it seems you occasionally see the world from a man’s point of view (lol). A: Well…(lol). Listening to myself talk, I am starting to think so too (lol). Q: When you started working as a seiyuu, was there anything that left a big impression on you? A: I remember my first afureko was for Hidan no Aria. I had a single word of dialogue, and it was ‘Filthy!’ (lol). It was just one word but to make sure I didn’t mess up, I marked it on my script with a pen and thought of the many ways I could deliver the line. I managed to learn a lot from that first experience of stepping into a recording studio. Hidan no Aria has a lot of action scenes and watching the main lead Kugimiya Rie-san’s acting in those scenes, it was far and above what I had imagined it to be! Really, I could not have been more impressed! Q: In Soredemo Sekai wa Utsukushii, you voice the lead character Nike Remercier! A: I was really surprised when I was confirmed for the role of Nike! Song plays an important part in the series so I’d be able to do both singing and acting in the role; thus, I went into the audtions thinking ‘I’m definitely going to play Nike!’. As there was a screening (test) for the singing part, I had my audition in a snack bar that had a unique homely atmosphere, a bit like a pub. I was nervous but I just treated it like I was singing karaoke at a wedding dinner (lol). Nike sings so that she can bring about rainfall, and after (my audition) the producer told me ‘When you sang, it was like it rained in the snack bar’…I was really happy! Q: Talking about Nike. What sort of feelings did you start growing for her? A: Recording for Episode 1 was really tough. There was a press conference that morning where I had to make my singing debut, then the afureko came after…Even now that I try to recall it, my memories are hazy (lol). On top of that, Episode 1 was an original story separate from the source material. Due to a lack of imagination and my own timidness, I had to do many retakes. This situation continued for the 2nd and 3rd episode to the point where I thought ‘Maybe I’m just not cut out for this”…Still, the staff members were all kind and said to me ‘We’ll be with you all the way, just let it come to you naturally’. They reached out to me (and helped) to draw out the feelings of Nike from within myself. That is why despite the many difficulties, at unexpected moments, I could think ‘This isn’t a battle I’m fighting by myself’. My other acting colleagues too, would suggest ‘try to speak each word with care’; and (I knew) we were all working together to make a good show. Having that in mind made it a lot easier. Though it seemed like I had a lot of worries because of Nike, there were just as many times where (I was) saved by Nike’s words, and I feel like I matured along with Nike. Q: Which of Nike’s scenes left the biggest impression in your heart? A: There are a lot, but I think the biggest would be the 2nd episode when Nike sang the song of rain for the first time. I felt really anxious about how the fans who had read the manga and then watched the anime would feel about my singing…But, I gave my all and sang to the best of my abilities, so I’d be really glad if those feelings came across. Q: Tell us more about Nikaido Ayaka, your character from the anime Jinsei. A: She’s the cousin of the main character and the President of the Second Division of the Newspaper Society. Her job seems to be to bring up problems and then disappear into thin air; she’s like a storm or like a festival queen* (lol). She may seem like a selfish character but in truth, as the President she looks out for everyone and is a kind-hearted girl with a strong sense of justice. Rather than an older sister, she feels more like everyone’s mom (lol). Q: How about Megumi in Rokujoma no Shinryakusha!? A: I’ve never voiced a type of character like her so she left a really strong impression! She’s a do-M (masochist) character (lol). She’d be going ‘HATE ON ME’ all over the place, I had a lot of fun voicing her (lol). If I had to choose, I’d say I’m more of the do-M type myself (lol). Or should I say, as an actor I think it’d be a bit pointless if we didn’t all have a bit of do-M streak about our personalities (lol). Q: Let’s talk about your private life! What do you do on your days off? A: I go to the pool, do some running or hot yoga; I think I’m the type of person who wants to do something work-related even on my days off. I also go to watch movies. Q: Is there anything recently that’s got you all fired up? A: Last week, I went to Kyoto for an event. I was given a day off afterwards, so I toured Kyoto! It was my first time in Kyoto so I visted Kiyomizu Temple and the Fushimi-Inari Shrine, ate green tea parfaits…I was running all over the place! Also, I spent some time sitting along the Kamo River with the locals…it was very calming. Q: We hear you’re a fan of Matsuda Seiko. A: That’s right! We’re both from Fukuoka, I have lots of respect for her! I especially love her songs from before 1985. I love the lyricist-Matsumoto Takashi, composer-Matsutoya Yumi combo. Actually, I fulfilled a dream by going to one of Seiko-san’s concerts 2 months ago! My first time seeing Seiko-san in the flesh! My tears flowed naturally, cleansing my heart…This is what it feels like when you get to meet the person you look up to. A person who has given dreams to everyone, (she’s) someone I admire. Q: From now on, what kind of seiyuu do you want to be? A: The seiyuu image that I strive for, to take an example, would be like that of Aso Miyoko, the voice of Fune in Sazae-san, who has a “voice” that is familiar and (someone) you feel is right next to you. What’s more, Aso-san has been acting for such a long time and I think that’s so wonderful and admirable. I too, hope to become a national “voice” that everyone will be familiar with. For my singing, all I can do is to give my absolute best and I’ll be working hard this way. Q: Are there any particular types of roles you’d like to do? A: I’d love to appear in an anime that can be enjoyed regardless of whether you’re an adult or a child, and I also want to do my best in animal-related or cutesy series (lol). I’ve done it once briefly, but I’d love to take on a baby’s voice again. Also, I’d love to play the ultimate villain! You don’t usually get many chances to be the bad guy after all. There is probably no bigger thrill in acting than getting to play such extraordinary roles. Q: Lastly, please leave a message for the readers! A: For those who were not aware of who I was before, I’m glad for this opportunity for you to get to know me better! From now on, one step at a time, earnestly and without letting success go to my head, (I will do my best) so that my voice will reach your ears. In my opinion, all my seiyuu seniors are amazing personalities and I too, wish to become a person who is loved by many. Thank you all for your support! My first impression of Maeda Rena was that she sounded like Hirano Aya Mk.II, to the point where I started confusing the two of them when they appeared in the same show (that would be the Hunter X Hunter movie). Having come to the seiyuu game relatively late (she turns 25 this year), Maeda still has a long way to go in her acting and singing, which are both very raw around the edges. Though she did well in Soreseka I don’t necessarily see her as regular leading lady material but her singing skills should gain her an advantage in winning certain types of roles. Of course it’s too early to form an informed opinion so for now, it’s all about watching warmly over her future endeavours. This entry was posted in Da Vinci Rookie, Maeda Rena on October 18, 2014 by admin. Hopefully people are checking out Shingeki no Bahamut Genesis, which looks like it might just be one of the best anime-based-on-games ever made…not that there’s a particularly high bar being set for that, unfortunately. One thing about Bahamut that got my attention straight away is the seiyuu for our lead one-winged demon Amira, Shimizu Risa. She is not a household name by any means – the only anime role of hers I even remember is a minor one from Nagasarete Airantou back in 2007. Instead, what I know of her work is from dubbing; she is the Japanese voice for Daenerys Targaryen (Game of Thrones) and Catherine Howard (The Tudors), amongst other things. I had thought Shimizu sounded a lot like Sakamoto Maaya in pitch and timbre, but her singing is definitely a notch above; she possesses a classically trained, operatic style like Takagaki Ayahi albeit with a ‘bigger’ voice than both of them, if you will. I don’t think anyone was expecting that voice when the music started and by the time the chorus hit we were all like..wow, just who is this person? I’m hoping that with Bahamut we’ll get to hear a lot more of Shimizu in the future, in particular her singing. She’ll probably still stick to doing mostly drama dubbing and narration work, but fingers crossed she gets a record deal somewhere down the line! This entry was posted in Shimizu Risa on October 15, 2014 by admin. It’s hard to believe that Mai turned 33 this year, until you look at her CV and realize she’s being pushed into doing onee-san and okaa-san roles already. She remains one of my eternal favourites because of her natural voice acting and her ability to adapt to whatever character is thrown at her, as well as for the sharp one-liners (whether intended or not..) she delivers on radio shows. You can tell Mai’s a people person and she has a lot of good friends in the seiyuu biz, including lots of guys. The interview I translated below was done in September 2014 for the Girlfriend (Kari) series, in which she voices Arisugawa Saeko. Q1. How did you become a seiyuu? There were very few anime airing in my local region, but when I was in elementary school I always used to watch the World Masterpiece Theater series. I especially loved Nanatsu no Umi no Tico. I liked to swim and more than anything, I longed to live like Tico ‘cos ‘it seems fun to ride on a killer whale’ (lol). When I grew up I realized such a lifestyle was impossible so I decided to shift my admiration to seiyuu instead. In the World Masterpiece Theater you see children going on journeys by themselves, there are smart raccoons like Rascal; you see things happening that aren’t possible in real life. Hence, I wanted to become a seiyuu so I could go through those kinds of ‘virtual experiences’. Then I went on to training school, where everyone aspired to become actors. There I was able to talk about things that I normally wouldn’t with my own school-friends, and the dream to become a seiyuu grew stronger. Everyone in my class got along well and we had a lot of fun. I enjoyed their company, more so than the lessons (lol). Q2. What are the things you try to keep in mind when voicing all your various characters? For this profession that involves the ‘application’ of a voice, you have a character and moving animation that goes with it. I try focus on that. I look up the character’s illustration and settings, and try to imagine ‘how would he/she speak?’, ‘what sort of voice would he/she have?’. For Girlfriend (Kari) where I voice Arisugawa Saeko-chan, just by looking at her art you get a fluffy kind of feeling. In truth though, she’s a girl who’s a busybody and likes to be in the know about relationships. ‘Who do you like? Tell me, tell me!’ – that kind of attitude (of Saeko’s), surprised me. There are a lot of characters in this series so I had a chat with the sound director to decide on how to best bring out (Saeko’s) character. She’s one of the characters I’ve taken the most time & care with in acting. Saeko-chan is a member of the choral club and her singing is good. But if you think about it properly, isn’t it rather weird that being a member of the choral club, she wears headphones? Maybe she just listens to a lot of music? She looks good in girlish dresses so when I appear in related events, I too try to keep up with that. She’s an important character that I voice, plus I want to go on dates with Sayoko-chan, so I have to carefully nurture her. Q3. If you weren’t a seiyuu what would you be doing? I’d open a bakery. I’m not that good at baking, but I could make various things if I opened a home bakery. It’s been amazing recently. I can make French bread and Danish (pastries) too. Dry yeast is good too, but (the bread) that’s made using natural yeast is more chewy and delicious. It’s not just baking I’m into though, I can recommend you a lot of nice bakeries too. When I make recommendations to others, I will introduce stores that give me the feeling that ‘I love their bread’. For example, there is a snack shop in an alley in Kagurazaka called Kameido that has amazing cream buns. It’s one of my favourite shops that’s in the city center, and when I go for recording I often hatch plans where ‘if I go to this studio I’ll buy some and bring them along’ (lol). If I think that way, I can put in more effort at work (lol). As for types, I prefer simple breads where you can taste the wheat such as walnut bread, as opposed to bread with fillings*. Recently, I’ve take an interest in 7-11’s collaboration line with Takaki Bakery featuring stone oven walnut bread; when I see it in stores I feel like buying them all up, but then I start to think that perhaps there are other fans out there. So if there are 3 left I’ll buy 2, and if there are 6 I’ll leave 3 behind (lol). Q4. Talk about something embarrassing. Previously, I used to count sheep on nights I couldn’t sleep, but that had zero effect. So I tweeted ‘If you count sheep, you’ll stay wide awake’. Some of my fans then tweeted back ‘You’re counting in Japanese, that’s why you can’t sleep’. It seems it’s because the word ‘sheep’ sounds similar to ‘sleep’ that there is supposed to be a positive effect in the first place. Sometime after, I related this story to Kawasumi Ayako-chan, Miyano Mamoru-kun and Suzuki Tatsuhisa-kun when we were in the recording studio. When all of them told me that it was just common sense, I felt so embarrassed (lol). Also, I only recently found out that the English language originates from the UK. I had always had this image that “English = American language”. And so, when I was working in a stage show alongside (a colleague) that had previously lived in England, I asked “What’s the official language of the UK, is it French?” and he/she looked stupefied (lol). And answered “English”, in a shocked manner. I can only speak Japanese so I’d love to learn English etc, but it’s difficult. There are a lot of charming characters in Girlfriend (Kari) so it’ll be hard to get the girl of your dreams but please do your best. Saeko-chan will appear in events as well, so when the time comes I too will do my best. I haven’t been able to evolve her to her final form, but I’m grateful to anyone who has carefully nurtured her all the way to the end. I think there will be many more events to come with plenty of fun in store, so I’m sure you will continue to enjoy playing the game. This entry was posted in GF Kari, Nakahara Mai on October 7, 2014 by admin.